Amino acids are the building blocks of protein, and are essential to many mechanisms of the body. They may also be viewed as the building blocks of bones, tissues, joints, and skin. Several of the amino acids are important in proper height and weight growth; L-arginine, L-lysine, and L-ornithine, in particular, have been associated with increasing growth in the body. Although certain amino acids stimulate human growth hormone, there is little evidence that they can stimulate increased height or larger muscles in adults. Work with a health care provider to determine the need for supplementation with amino acids for either children or adults. In the book, "The Healing Nutrients Within: Facts, Findings, and New Research on Amino Acids," authors Eric R. Braverman, Carl Curt Pfeiffer, Kenneth Blum and Richard Smayda discuss research findings that L-arginine releases growth hormone in children who are short in stature. They note this action occurs via the amino acids stimulating growth of bone and cartilage systems and the retention of amino acids which make up protein, along with the release of fatty acids from tissues. 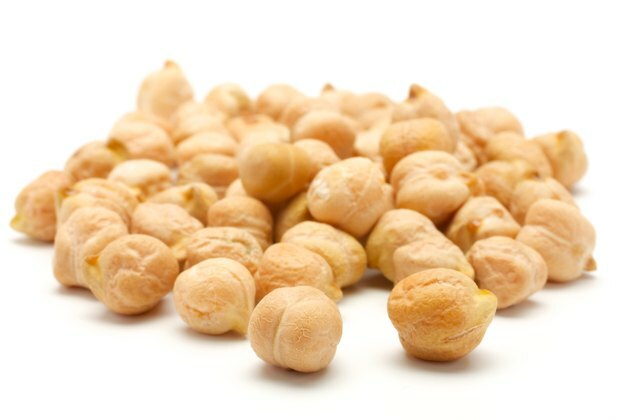 L-arginine is found in nuts, meat, seafood, soybeans, chickpeas and chocolate. Do not supplement with L-arginine unless working closely with your health care provider. The essential amino acid L-lysine is also plays a key role in growth. The University of Maryland Medical Center website notes that lysine, by helping the body to absorb calcium and being an intricate part in the formation of the collagen found in bones, skin, tendons, and cartilage, assists with proper growth. Lysine can be found in high-protein foods such as meats, beans, nuts, eggs and spirulina. It should be noted that high levels of arginine in the body may lower lysine levels, as they share common pathways in the body. Work with a practitioner who understands the effects of amino acid supplementation before adding lysine to your regimen. L-ornithine may also be helpful when it comes to growth in the body. Phyllis Balch, in her book, "Prescription for Nutritional Healing," notes that ornithine helps to promote the release of growth hormone. Arginine sometimes converts into ornithine in the body, and according to "The Healing Nutrients Within" by Eric Braverman, it may be wiser to supplement directly with ornithine, as it is more readily absorbed than arginine. Check with a trained practitioner before supplementing with ornithine.